Inspired is a treasure trove of direct and immediately useful product management techniques and strategies. The book is organized in three categories: People, Process, and Product. Each category contains short chapters which are written in a clear style that comes from Cagan’s passion about the topic and his extensive experience in product development. 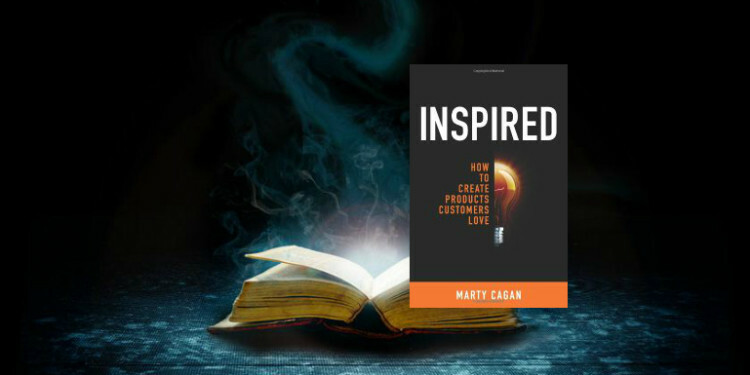 Inspired is written for software development teams, specifically, people who are responsible for defining products and bringing them to market. The book is aimed primarily at software products, but there are many topics that remain valuable across industries. Chapters span the tactical to the strategic making it a great read cover-to-cover and a go-to reference for your physical or virtual bookshelf. It doesn’t matter how great your engineering organization is if the product manager doesn’t give engineers something valuable, usable, and feasible to build. In discussing roles and responsibilities, Cagan says “the root cause of wasted releases can most often be traced to poor definition of the role of product manager in a company and inadequate training of the people chosen for this role.” There are several common root causes for this: marketing-driven product development that skips the hard choices and discovery provided by product management; two people playing the product management role, one responsible for “high level” requirements and one for “low level” requirements; one person playing two roles trying to cover product marketing and product management. Cagan’s cure for this set of issues is to clearly define the product manager role as being the person defining the product and the product marketing manager as the person who tells the world about it. In addition to product marketing, Cagan also outlines the differences between product management and project management, user experience, and software engineering all of which frequently overlap with product management. There are some people out there who just love products–they live, eat, and breathe them. The book covers recruiting, selecting and managing product managers (not something that is discussed in many product management books). The key ingredient is, of course, passion. Customer empathy and focus are also key attributes of great product managers. Cagan believes that 80% of product management skills are transferable across industries. He says domain expertise, although often valuable, can detract from curiosity and the ability to validate and question assumptions. I have found that the most valuable experience is not what you learn about some product domain or technology…but rather what you’ve learned about the process of creating great products, leading a product team, and managing growth. In the context of managing product managers, Cagan discusses the role of the VP of Product Development (a critical role responsible for managing the team and defining strategy) and metrics (he suggests using Net Promoter Score). He prefers to see the product organization on its own (rather than reporting in to marketing or engineering) except in the case of large organizations where it might be housed within a business unit. Value proposition: What problem does the product solve? Target market: Who specifically is the customer? Market Size: How large is the opportunity in terms of buyers and revenue? Metrics/Revenue: How will success be measured? Competition: How are customers solving this problem today? Differentiation: Why are we best positioned to go after this opportunity? Market Window: Why do it now? Go-To-Market: How will the product get to its customers? Requirements: What are critical success factors? Product Principles – A set of high level guiding concepts that reinforce the product’s DNA and helps make design decisions. Product Council – A group of stakeholders responsible for internal alignment around product definition. This group should review products as they go through each lifecycle milestone. Charter User Programs – Finding early customers that will help you validate product definition, become early adopters, and eventually serve as references. Personas – Customer archetypes which help the team focus and make decisions. Prototype – Rather than create a traditional product spec (which is rarely complete or read by anyone), Cagan likes to use high fidelity prototypes to validate assumptions with customers and provide the engineering team with a model for implementation. Some documentation will still be required, but the core of the product definition should come from the prototype. This also allows the user experience to be designed before building the product commences. Cagan includes chapters on product validation and prototype testing, which, although not as articulated as Four Steps to the Epiphany and The Lean Startup, is a break from traditional product development methodologies (which are mostly based on the Waterfall model). He diagnoses the “ready, fire, aim” product development approach that occurs in many startup environments and, like Steve Blank and Eric Ries, reinforces the importance of deliberate discovery and validation. Cagan also includes recommendations for “intrapreneurs” (people in large companies who are working on startup or innovation efforts). This framework puts functional, technical, and experiential components in the service of the emotion that will be felt by the end user. When all three act in concert, the entire platform supports a powerful result. Cagan says “great product managers combine what is desirable with what is now just possible” to create compelling offerings. The trick is finding the sweet spot between unfulfilled need and technological feasibility. The book describes success factors for consumer internet products, enterprise products, and platform products, each of which have unique characteristics. Usability, scalability, and viral marketing are keys for consumer internet products while charter user programs, sales channel design, and integration are important to enterprise products. Platforms require balancing the needs and benefits of application providers, developers, and end-users. It is shocking to me how many product teams think they can come up with great products without talking to users and customers. The primary responsibility of the product manager is to discover a product that is valuable, usable and feasible. Improving a product is not about adding features that customers request; it is about analyzing the product’s actual use, and then relentlessly driving the product to improve the key metrics.